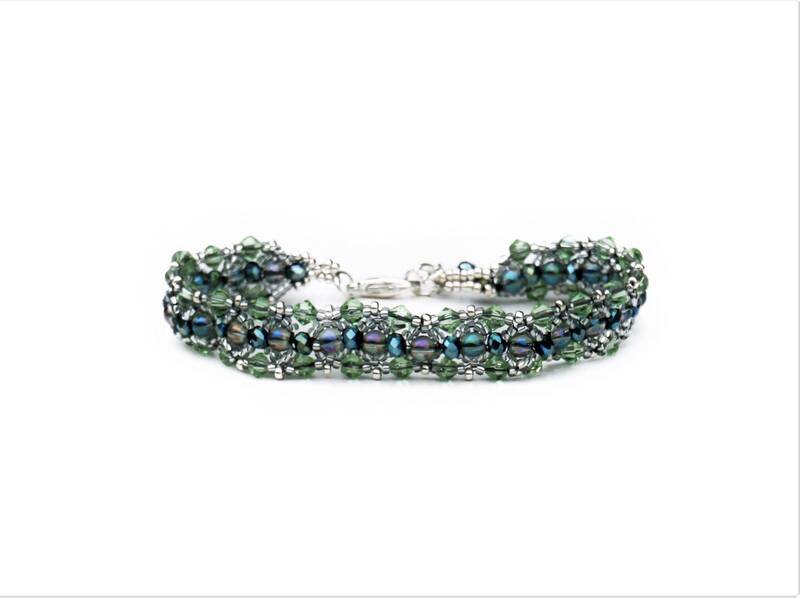 This delicate beaded bracelet is woven from different types of pearls: various blue shimmering glass beads, transparent green Bicone glass beads and silver Rocailleperlen were added to an approx. 1.3 cm wide and a total of approx. 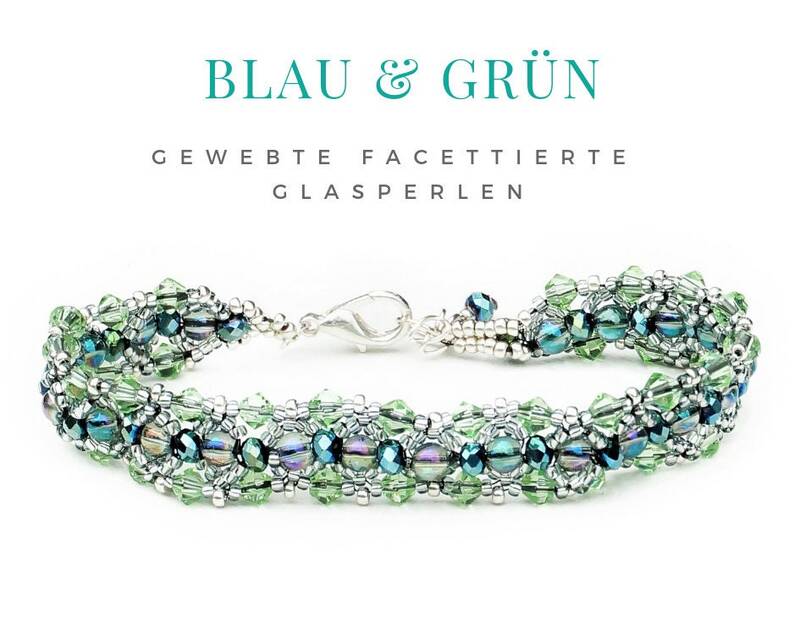 20.5 cm long bracelet with The carabiner. 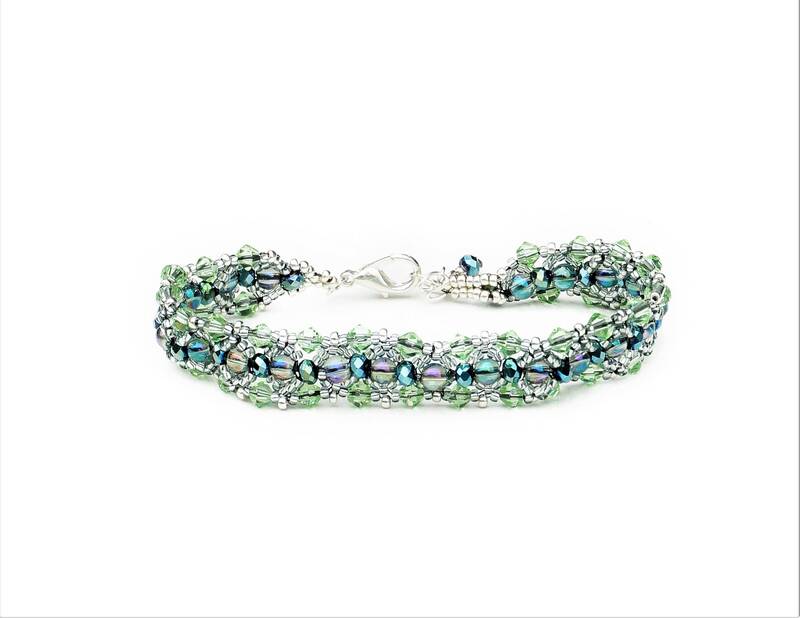 This handmade unique item is shipped as a gift wrapped in a organza bag. Delivery time within Germany: 1-2 days from payment.